For Season 1: The East, click here. Now the story of a football conference division so powerful that even a recent BCS National Championship winner couldn’t win it. 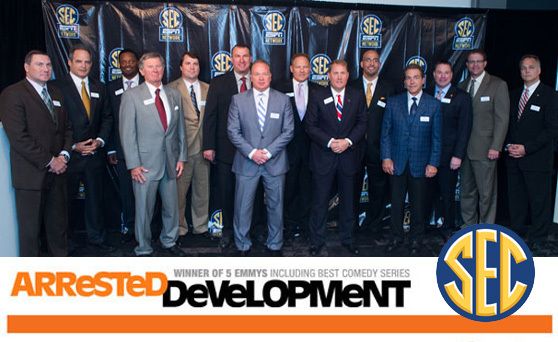 It’s the SEC West’s Arrested Development. Coach: That guy who never loses his cool. Mascot makes us think of: Giant rat infestation. Returning Starters: 6 on offense, 7 on defense. Offense loses: Passing Yards: 0%; Rushing Yards: 41%; Receptions: 21%. We will not miss Eddie Lacy and the offensive linemen who have moved on. Strength of schedule: 40th toughest in the nation according to Phil Steele. 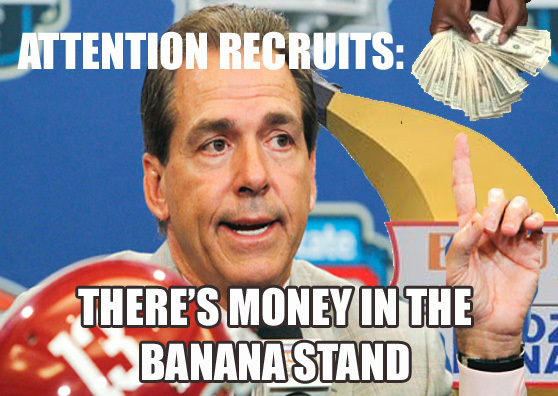 (The easiest schedule in the SEC!!) Road games are at Texas A&M, Kentucky, Mississippi State and Auburn. They avoid playing Georgia, Florida or South Carolina. They take on Virginia Tech (in Atlanta), Colorado State, Georgia State and UT-Chattanooga out of conference. Questions: How will the new offensive line perform? Can the new secondary stop the higher powered offenses in the SEC? Best case scenario: The entire team is ruled ineligible and forfeits every game and the coaching staff is banned from college football for life. The stadium is razed to the ground. (Oh,wait– you meant best case scenario for them. In that case, they could win the whole stupid thing again.) 12-0. Worst case scenario: The new offensive line is a pale imitation of the unit that dominated college football the last few years. The running game suffers and the quarterback gets pressured much more often. The defense is more vulnerable than in the past due to lost experience. 8-4. Van and John think: The assumption that this team can just show up and win the SEC will be proven wrong. But the schedule is so easy they will still make it to Atlanta. 11-1. Returning Starters: 8 on offense, 4 on defense. Strength of schedule: 16th toughest in the nation according to Phil Steele. Road games are at Georgia, Mississippi State, Ole Miss and Alabama. They avoid playing South Carolina. They take on TCU (in Dallas), UAB, Kent State and Furman out of conference. Questions: Everyone just assumes the defense can re-load again- but can it? How will the new offensive coordinator shift the game planning and play calling? Will the offense suddenly feature some semblance of organization and a plan? 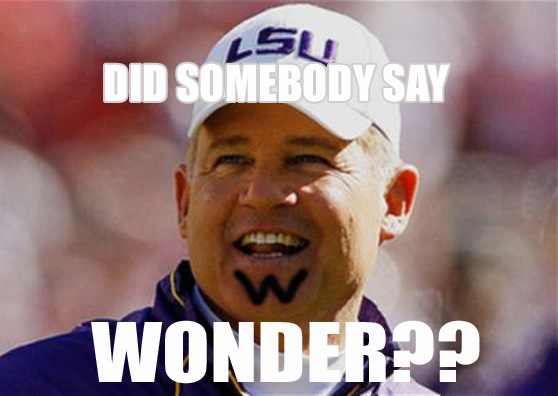 Arrested Development Character: Tony Wonder is LSU. “The Magic is Back” in Baton Rouge. 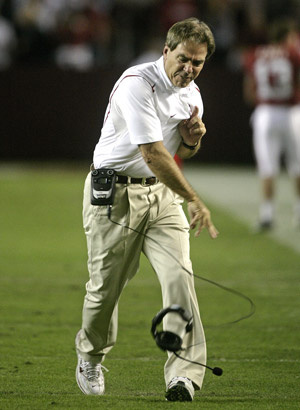 It’s almost a certainty we will see Les Miles explode out of a podium or a bean bag chair at some point in the season. Best case scenario: Wins the SEC West behind Mettenberger. 11-1. Worst case scenario: The talent drain of the last two years combined with a tough road schedule lead to a down year by recent standards. 8-4. Van and John think: This team won’t be as good as the recent top 5 teams from Baton Rouge, but they will compete for second in the West. 10-2. Coach: Kevin “The NFL Will Be Calling in Six Months” Sumlin. 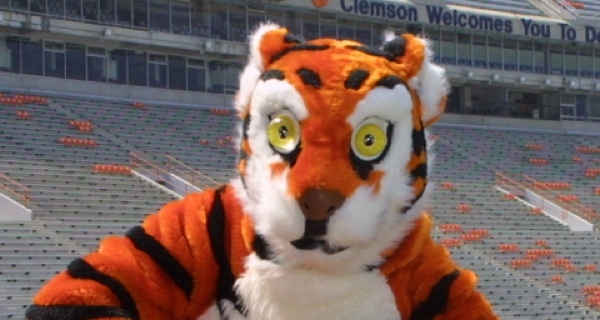 Mascot makes us think of: Animals you send to get help when Timmy falls into the well again. Returning Starters: 6 on offense, 5 on defense. Strength of schedule: 28th toughest in the nation according to Phil Steele. Road games are at Arkansas, Ole Miss, LSU and Missouri. They avoid playing Georgia and South Carolina. They take on Rice, Sam Houston State, SMU and UTEP out of conference. Questions: Can the vast improvement in the A&M defense from 2011 to 2012 be sustained or will the players lost cause the defense to revert to the middle of the pack? Will the loss of the best offensive tackle in college football last year cause more pressure on the quarterback? And speaking of quarterback– can you sign this for us, Johnny? Thanks! Best case scenario: The NCAA clears Johnny Autograph tomorrow and he plays the full season before declaring for the NFL draft. The Aggies win the West. 11-1. Worst case scenario: Manziel is declared ineligible and misses the whole season. The offense regresses dramatically while the defense slips back to 2011 form. 7-5. Van and John think: The losses on defense will hurt more than anyone thinks. This team will be the SEC West version of UGA. 9-3. Returning Starters: 9 on offense, 10 on defense. Strength of schedule: 34th toughest in the nation according to Phil Steele. Road games are at Vandy, Texas, Alabama, Auburn and Mississippi State. They avoid playing UGA, Florida or South Carolina. They take on SE Missouri State, Idaho, Texas and Troy out of conference. Questions: With the recruiting hype plus the returning starters plus the relatively cushy schedule, can Ole Miss live up to the hype? (The Solid Verbal guys are obsessed with how “horrendously difficult” Ole Miss’s schedule is, but we don’t quite see it that way.) Is Bo Wallace ready for SEC defenses after off-season shoulder surgery? Arrested Development Character: Lindsay Bluth is Ole Miss. Everyone always thinks she’s so beautiful and yet she usually can’t get out of her own way. And she is stuck in the same house/state with a less-attractive relation who is generally down on his luck. Coach: Looks like the love child of a Badger and Butthead. 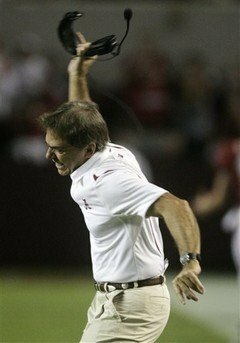 Decries the modern up-tempo offense while attempting to recruit in the state that invented it. Mascot makes us think of: The magical meat animal. Things Samuel Jackson in Pulp Fiction won’t eat. Returning Starters: 4 on offense, 8 on defense. Questions: The conversion from a Bobby Petrino passing attack to a Wisconsin power rushing attack may not be pretty at times, especially with the talent on the roster. Will Bielema be able to manage the transition to a completely different style of play smoothly, or will it all come apart and dissolve into a horrendous Loefflerization? 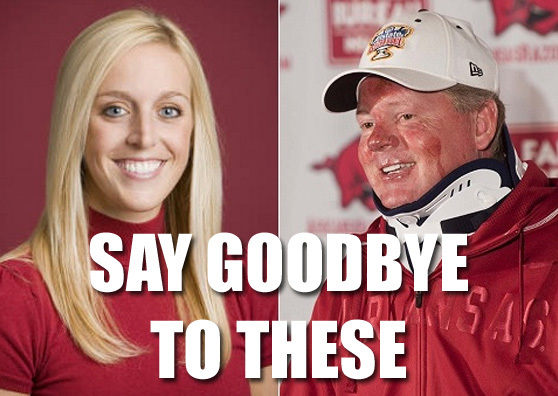 Arrested Development Character: Kitty Sanchez is Arkansas. George Bluth’s former secretary (among other things) wants to wheel and deal with the big boys, but all the tools aren’t quite there. And take one last look, Michael, because you’ll never see these again! Unless you move to Western Kentucky. Best case scenario: Bielema produces results in the first year. 7-5 is still the best case scenario with that schedule. 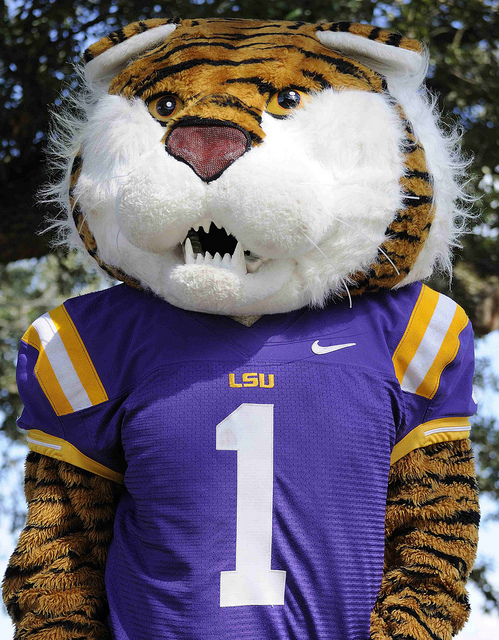 Mascot makes us think of: Winston Churchill. Or, really, Winston Churchill’s cousin that never really amounted to much. Returning Starters: 7 on offense, 5 on defense. Strength of schedule: 33rd toughest in the nation according to Phil Steele. Road games are at Auburn, South Carolina, Texas A&M and Arkansas. They avoid playing UGA and Florida. They take on Oklahoma State (in Houston), Alcorn State, Troy and Bowling Green out of conference. Questions: How will they reload after losing the best secondary in school history? Arrested Development Character: Buster Bluth is Mississippi State. The little brother that tries really hard but never quite seems to figure it all out. 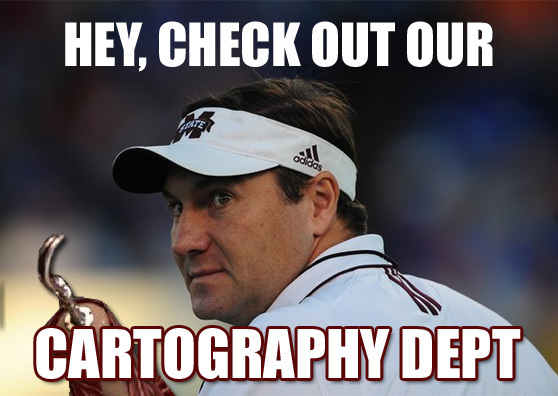 But, hey– the Cartography Department is probably awesome. Best case scenario: Tyler Russell has a huge senior year to lead MSU to another New Year’s Day bowl. 8-4. Previously: SEC ARRESTED DEVELOPMENT Season 1: The East. Next up: The Wishbone’s Auburn preview. Previous Wishbone columns are waiting for you here. Order The Wishbone’s Decades of Dominance: Auburn Football in the Modern Era.